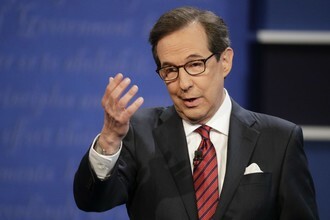 Klayman: Chris Wallace Has Become the Leftist Face of Fox News! Kellyanne Conway, White House counselor, gave a swift and saucy response to Fox News' Chris Wallace when he asked about the state of her marriage to vocal anti-President Donald Trumper George Conway, snapping off the one-liner, "What are you, Oprah?" It's one thing to talk about policy, politics and current events — to include current political spats being played in the public eye. It's another thing entirely to use those current events to pry into privacies while pretending it's news because, well, people just want to know.